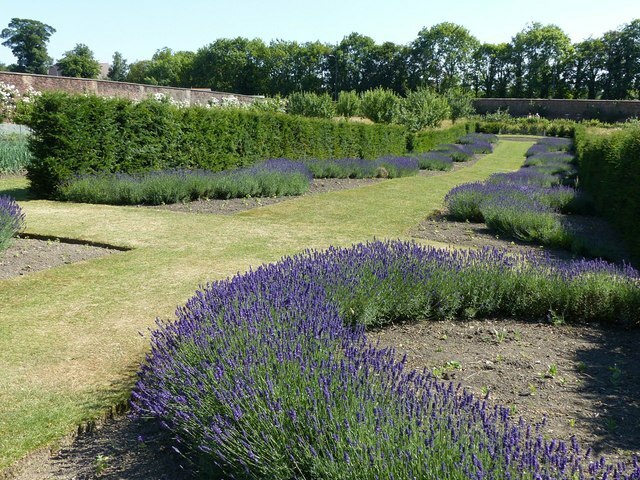 Part of the more formal gardens to the south of the stable block, laid out in their present form in the 20th century. The gardens are Listed Grade II*. Nostell Priory is an elegant 18th-century Palladian mansion set in hundreds of acres of parkland. It takes its name from a 12th century monastery which was surrendered to Henry VIII in 1540. The land passed through several owners until it was bought by the Winn family in 1654, with plans to build a new country house. After the Civil War they supported the monarchy and were rewarded by Charles II with a baronetcy in 1660. Building the mansion began around 1733. Rowland Winn, the 4th Baronet, hired James Paine to supervise the work and he worked on the house for the next 30 years, using an ornate rococo style. In 1765 Rowland Winn, the 5th Baronet, inherited. He and his Swiss wife Sabine employed Robert Adam to finish the house in the neoclassical style. Adam was commissioned to design additional wings, only one of which was completed, and complete the state rooms. He added a double staircase to the front of the house, and designed buildings on the estate, including the stable block. Thomas Chippendale was commissioned to decorate the interiors and, as a result, Nostell has one of the largest and finest Chippendale collections in the country. The House, which is a Grade I listed building (English Heritage ID: Link British Listed Buildings) was given to the National Trust in 1953. © Copyright Alan Murray-Rust and licensed for reuse under this Creative Commons Licence.